Alexis Nunes and Paul Mariner sift through the more notable fixtures in La Liga this weekend, including Atletico Madrid’s clash with Real Madrid. Real Madrid’s Santiago Solari insists his side are not the favourites to reach the Copa del Rey final after their 1-1 draw in the first leg with Barcelona. Alejandro Moreno says Real Madrid may live to regret not capitalising on numerous chances against Barcelona when Lionel Messi was on the bench. Lionel Messi and Ousmane Dembele have both passed fitness tests and been named in Barcelona’s squad for Sunday’s game against Athletic Bilbao at San Mames. Messi, who only played the final 30 minutes of Wednesday’s draw against Real Madrid, has been included despite an ongoing thigh problem. Dembele, meanwhile, returns following three weeks on the sidelines with an ankle sprain picked up in the win over Leganes last month. 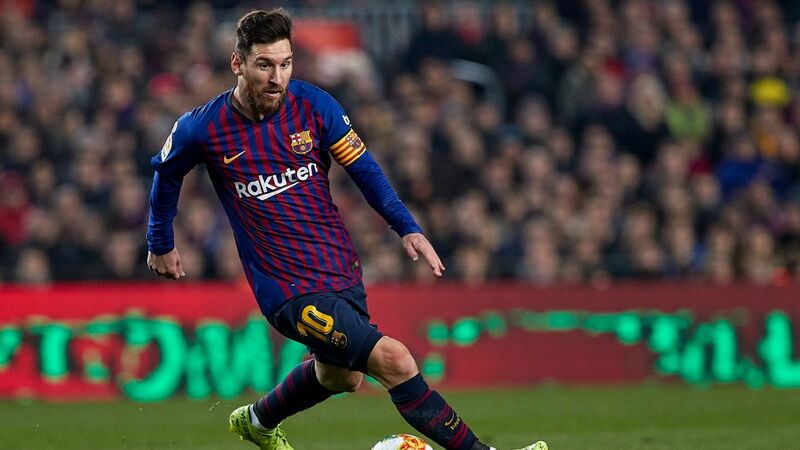 Barca boss Ernesto Valverde said Messi will start against Athletic if he is feeling fully recovered from the injury he suffered against Valencia last Saturday. “The other day we didn’t want to risk him from the start [against Madrid] in the Copa [del Rey],” Valverde said in a news conference on Saturday. “It is a similar situation this weekend. France international Dembele, who has scored or assisted eight goals in his last 10 outings, is less likely to start after missing the last five games. Leaders Barcelona will definitely be without left-back Jordi Alba and midfielder Arthur. The former is suspended and the latter is out for a month with a hamstring injury. Lionel Messi in action for Barcelona during the Copa del Rey semifinal clash with Real Madrid. “In Arthur, we lose a player that gives us control of the game,” Valverde said. “We have options [to replace him]. “There is no one exactly like him, but we have [Carles] Alena, Arturo Vidal and [Philippe] Coutinho. But replacing a player like Jordi is always a problem. Barca could open up an eight-point lead at the top of the table with a win in Bilbao after Real Madrid beat Atletico on Saturday to leapfrog their city rivals into second place.